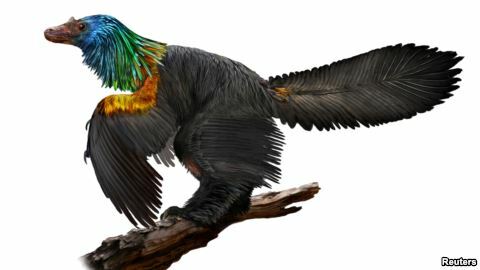 Scientists recently announced the discovery of a small, bird-like dinosaur from China which had unusual, colorful feathers. The scientists named the dinosaur Caihong, the Mandarin word for rainbow. They discovered the nearly complete and almost entirely undamaged fossil in Hebei Province. Microscopic structures in the fossil suggest that the creature had wide, shiny feathers. The feathers mostly covered the dinosaur’s head and upper body. The colors of those feather would have appeared to change depending on how the light hit them. The colorful dinosaur lived 161 million years ago during the Jurassic Period of earth’s history. The scientists used powerful microscopes to identify the remains of the cell structures responsible for the apparent color of the feathers. The shape of those structures appears to have influenced what color the feathers would have. Round-shaped structures in the Caihong fossil show that it had feathers similar to that of a modern day hummingbird. Much of Caihong’s body had dark feathers. The shiny, color-changing feathers covered its head and neck. The dinosaur had many bird-like qualities. But researchers doubt that it could actually fly. Its feathers could have served the purpose of gaining the attention of sexual partners while also providing protection from heat and cold. Caihong was two-legged and had a long, narrow head with sharp teeth. It had boney crests above its eyes, and it hunted other, smaller animals for food. Scientists say many dinosaurs had feathers. Birds evolved from small feathered dinosaurs near the end of the Jurassic Period. Caihong had two kinds of feathers. It also is the earliest-known creature with feathers that did not have the same shape on both sides. This is a physical quality that modern birds have and use to direct themselves while flying. The unevenly shaped feathers on Caihong were on its tail. This suggests that tail feathers, not arm feathers, were first used to improve movement through the air in flying dinosaurs, scientists said. 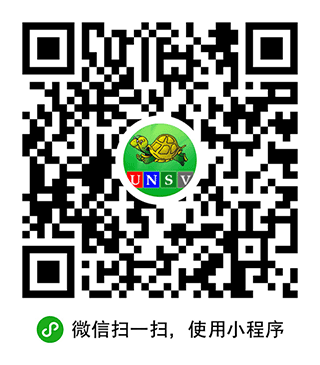 Xing Xu is a paleontologist with the Chinese Academy of Sciences. Xing Xu said, “It is extremely similar to some early birds such as Archaeopteryx.” Archaeopteryx is the earliest known bird. It is believed to have lived 150 million years ago. Will Dunham reported this for the Reuters News Service. Pete Musto adapted it for VOA Learning English. Mario Ritter was the editor. We want to hear from you. What other kinds of strange dinosaurs do you hope scientists will discover? Write to us in the Comments Section or on our Facebook page.